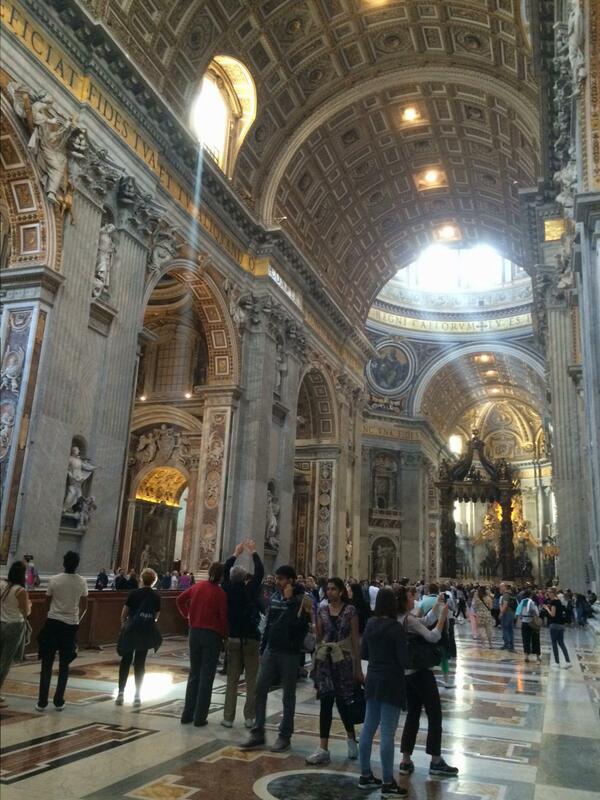 The interior of the massive and impressive Saint Peters Basilica, Vatican City. Rome, Italy. On the ITALY TOUR. 18 April 2015.